WHAT'S NEW FOR 2019 !! GTG-ZERO, charger 18 V DC/230VAC, 2x remote control, user manual, transport case. -Turning on the device: The GTG-ZERO device can be started in the 230V AC mains mode or in the internal battery supply mode. c. Run the jamming function with the remote control. b. Run the jamming function with the remote control. b. Switch OFF the device with the „OFF” button. where sit people running conversation. Other placement of the device result in limiting the possibility of effective jamming. GTG-OSD10 is designed for search and visualization the place of portable systems of secret observation (SOS - Secret Observation System), camouflaged in the various items, clothing, working or disconnected compact cameras under different lighting conditions at distances up to maximum 750 m. (depending on weather condition). Basic operation principle is "cat's eye" effect (light-reflecting effect) lying in ability of optical objects to reflect probing radiation in opposite direction with angle close to its incidence angle. Semi-conducting laser IR diode (transmitting channel) serves as the source of probing radiation. The reflected signal is registered by sensitive video camera on the basis of interleave transfer sensor (reception channel). The Device is developed on non-parallax optical scheme, i.e. with optical alignment of reception and transmitting channels. Transmitting channel generates laser beam in the form of vertically located rectangular raster. Ability of illuminating raster can be changed if necessary, depending on distance to surveillance object, for reception of the best image contrast. Image focusing on sharpness is carried out by adjustment of video camera objective. Visualization of surveillance objects is carried out through built in pseudo-binocular. In order to receive better images, the body of the Device is equipped with fastening and connection for external 5"LCD-monitor (delivered on request of the Customer), and with external CCIR standard video signal socket for connection with external monitor, video recorder or computer (with video capture card). Protective packing. Plastic case with foam-rubber pad. Actual effective detection range depends on weather conditions. Global TSCM Group, Inc. The DRUID is an unique system for providing protection for a human’s speech. Not all listening devices can be detected by existing methods. Remotely controlled radio microphones, wired microphones, passive resonators, miniature voice recorders – practically all these devices cannot be detected by conventional methods. Even a modern cellular phone may contain a digital voice recorder; this means that any phone lying on the desktop could be used by an adversary to record a conversation. Global TSCM Group, Inc. The Stealth SM2020 is the most advanced portable audio jammer andspeech protection system which protects you against listening and recording devices. The Stealth SM2020 creates sound barrier interference which masks your speech and any sound to be extremely difficult or impossible to extract the original content from the noise. The Stealth SM2040DX is the most advanced portable audio jammer and speech protection system which protects you against third person listening, eavesdropping, and recording devices. The Stealth SM2040DX creates sound barrier interference which masks your speech and conversation to be extremely difficult or impossible to extract the original content from the noise. 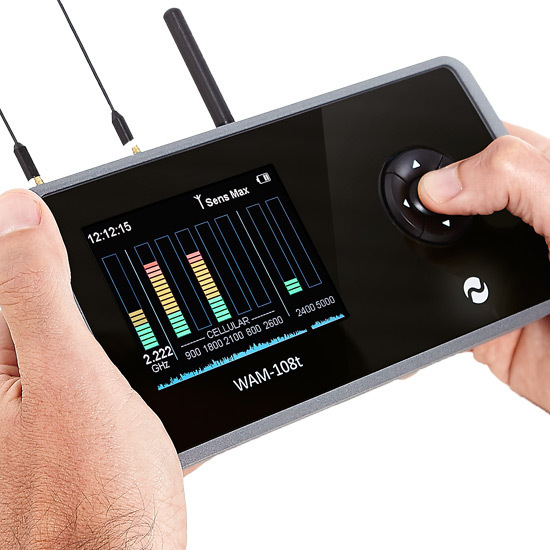 The Stealth WEGA-i is unique device which created for professionals in the sphere of the surveillance countermeasures. Thanks to its optical principle the WEGA can discover lenses of all types of covert cameras not depending on their working state. The WEGA’s LED matrix radiates a powerful infrared beam which is then reflected by a video camera’s optics and is easily detected by the operator. The IR-filtering glass built into the WEGA helps the operator to avoid natural reflections from surfaces and concentrate on finding the exact location of a hidden camera. 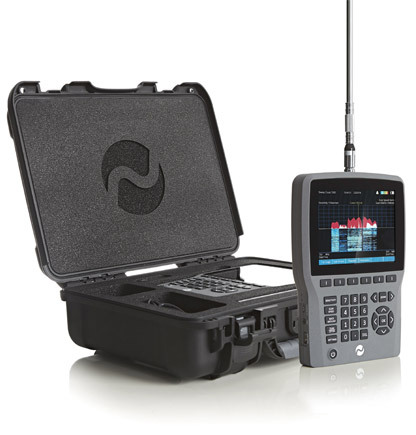 The Stealth Navigator Pro is the most advanced TSCM RF Analyzer for detecting and eliminating illegal Wireless Cameras and eavesdropping transmitters. 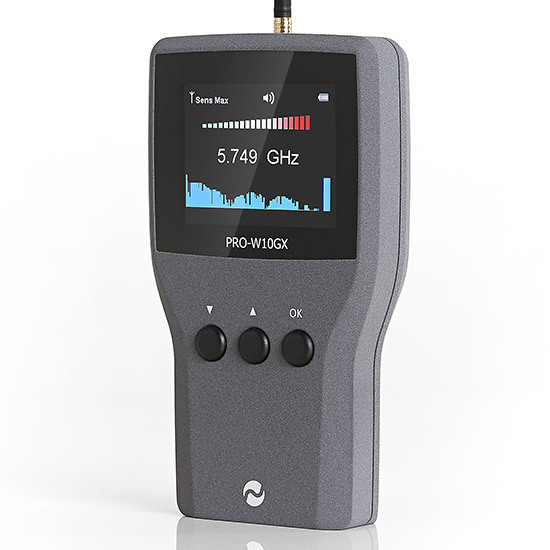 With the optional Digital Protocol Detector (P-1207i), It can detect not only analog RF A/V signals but also digital signals such as CDMA, GSM, 3G, Wi-Fi and Bluetooth signals used by the advanced bugs. - Detects Wide-Band RF signal and outputs it as audible like a FM radio. 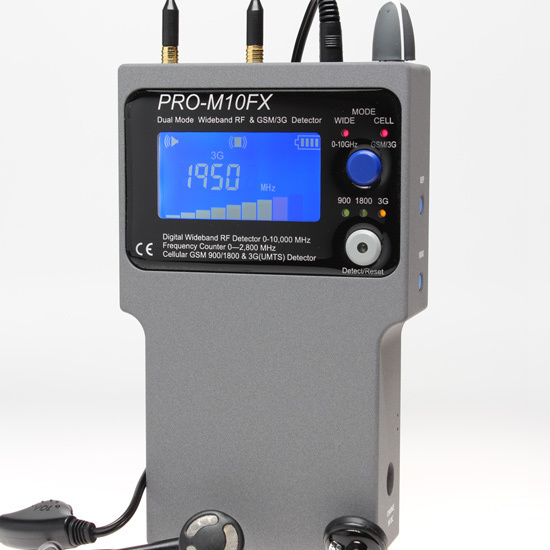 - Demodulates the detected AM/FM/SSB/CW signals and saves automatically. - VLF Convertor: Test Carrier signal on AC power line and telephone line. 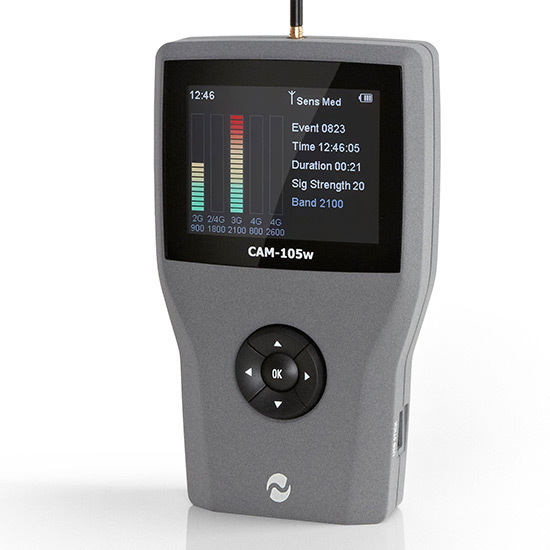 - Detects and demodulates Wide-Band RF video signals and displays on LCD. - Saves the detected RF video signal and replays or copies it to a memory media. - Connect a PC (Notebook PC) to have additional control the receiver, scanner, GPS map and Direction Finder. - This spectrum analyzers and measurement receivers are compact and simple to use. 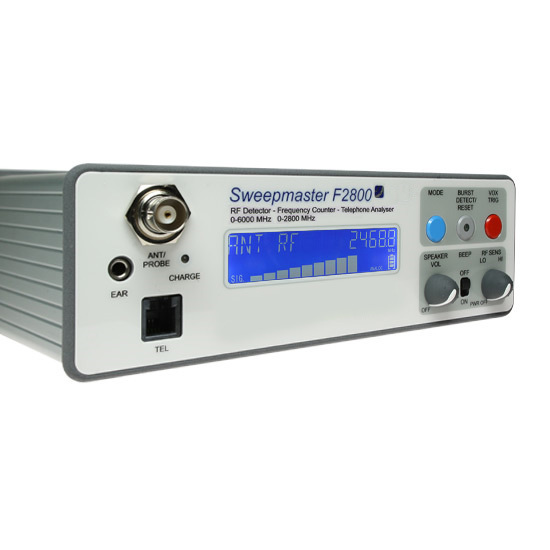 - With the built-in RF preamplifier, RF attenuator, and temperature compensation, you can now make quick, accurate RF measurements in the lab or in the field. - Using recent innovations in RF technology, it has the sensitivity, accuracy and dynamic range you’d expect in a unit many times its cost. 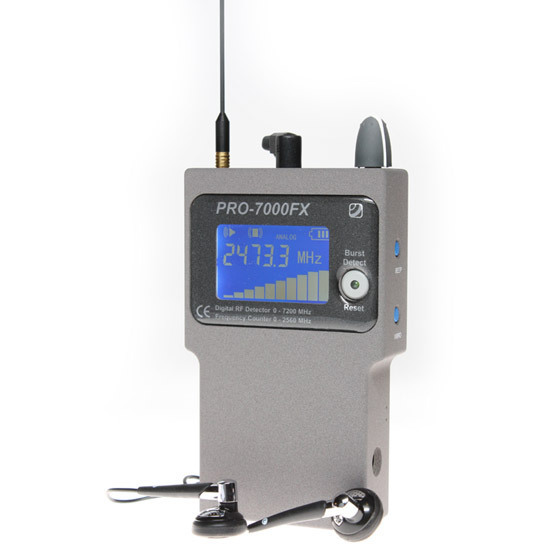 - CDMA (American 3G), GSM, iDEN, PHS and AMPS up to 70 feet. - The customized probe helps to search and remove the RF bugs easily.